October 2, 2017: David Popes guest stars as a hotel consultant on the Travel Channel’s Hotel Impossible. The episode, titled “Outer Banks-ruptcy”, is the 6th episode of the 7th season of Hotel Impossible. 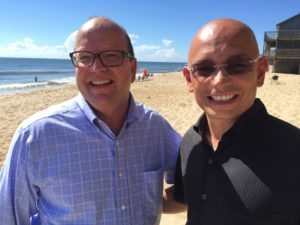 During the episode, Mr. Pope advises the host, hospitality expert Anthony Melchiorri, on a beachfront hotel in the Outer Banks area of North Carolina that faces foreclosure.